The Hamilton 669 is a CORTEBERT movement. Hamilton was phasing out pocket watch production by 1955, including their longstanding & very popular Specials & Traffic-Specials. 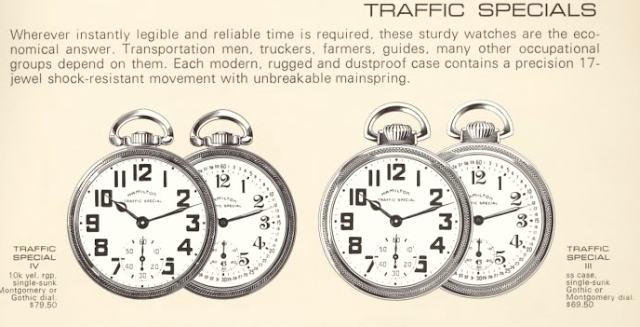 They wanted to make wrist-watches, & had since WWI. They would continue to make the Railway Specials, though (very lucritive). Cortebert was the premier Swiss PW movement company at the time, the only company that produced pocket watch movements for ROLEX, and Cortebert's name would uphold the excellent reputation that Hamilton held. 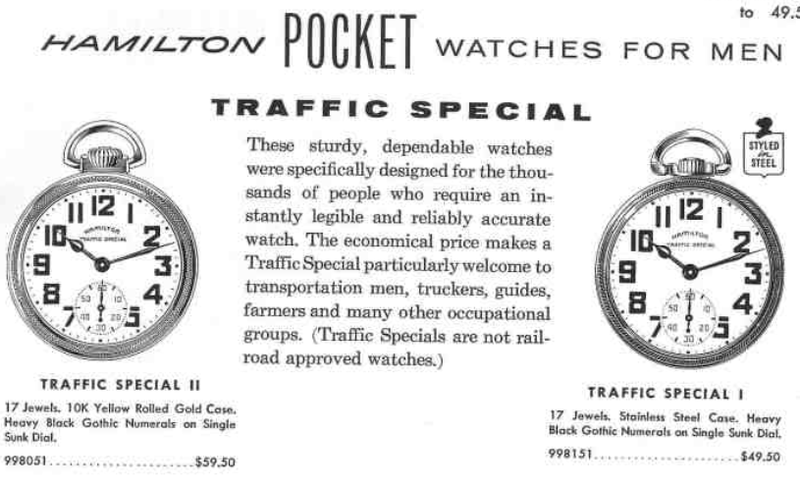 As an aside, there was really no need for serial numbers by then, except for the railroads' longstanding requirement for their use (inventory control). Only US companies used serial nos., and they were ending the practice, so it's impossible to date the 669 accurately, and I think can only approximate the prod'n year by observation of style, model type and WATCH-CASE seial number - also made by Hamilton, under the "Keystone" name, & cased simultaneously with the mvmts. But try to find prod'n dates for Keystone cases - good luck. Great information Norm. Thanks for sharing it. Genuinely enjoyed this article, as well as all the other. Thank you for taking time...and yes, great info above. Kind regards and thank you again.